Why Invest in a Community Development Financial Institution? Investing with Your Values: CDFIs empower investors to invest with their values. 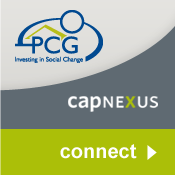 PCG is part of a small -- but emerging -- sector of community investing pools that raise capital from socially motivated investors who would otherwise have difficulty finding high-impact community development organizations. Economic Justice & Social Change: CDFIs apply the ethical principles of the “common good” to investment choices as a means of advancing economic justice and social change. Access to Capital: CDFIs provide access to capital for communities that are left out of the economic mainstream. By providing “patient” capital to high-social impact organizations, CDFIs help empower low income people and communities that are underserved by traditional financial institutions. Small Dollars, Big Impact: Community development investing asks investors to dedicate a modest portion of their investment portfolios to activities that pay a below-market return but generate significant community benefits. Our Model is Pioneering: Working as a wholesale participation lender, PCG partners with other mission-based lenders to help bring more capital to communities that need it most. We do this by creating new tools for mission based lenders to manage liquidity, portfolio concentration, loan limits, and other challenges that hinder the growth of community development finance. We also help socially motivated investors find opportunities to put their money to work safely with high-social impact organizations. National Leader: We are recognized as a national leader in the field of community economic development. In the fall of 2008 PCG was awarded the Social Venture Network's (SVN) Innovation Award for our loan participation model. Additionally, we received national recognition when we were given the Presidential Award for Excellence in Microenterprise Development for innovation and social impact. Socially motivated investors: PCG is a membership corporation comprised of faith-based institutions (Congregations of Catholic Sisters, Brothers and Priests, Catholic health care systems, and Protestant denominations) dedicated to promoting economic justice. We have both faith-based and non-faith based investors who are committed to our mission. 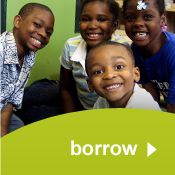 Strong Performance: Since 1989, PCG has made over $50 million in loans and deposits to 150+ borrowers working in low income communities. Your investment is well managed. We have a track record of preserving 100% of principal while paying modest returns to investors. Domestic and International Focus: We invest both domestically, in mission-based lending partners and high-impact nonprofits, and internationally in microfinance and microenterprises. 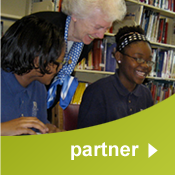 Please contact us for more information about investing in Partners for the Common Good.